June 2013 – You Can’t Give Up Dairy! Or Can You? We all like to think we are kind people. You’re a kind person aren’t you? However, we cause harm when we pay for practices that are out of our hands. If you knew for certain it would be easy to implement the solution and not only definitely help you be a happier and healthier person, that it would also reduce the suffering of animals, would you be willing to discover the truth? Are You Battling To Give Up Dairy? — Yes it can be difficult when you are making changes in your life. We can feel attached to dairy products for many reasons. Here are a few suggestions on how you can nip your dairy cravings in the bud. No ‘Humane’ Dairy Products Here — Do you still believe that calves and cows aren’t killed for dairy production? There is no such thing as ‘humane’ dairy. Find out why we don’t promote welfare reforms in the dairy industry. Are You Neglecting Your Dog? — Are you your dog’s one and only contact with the outside world? When you get to go out every day, he sits at home waiting for you. Find out how you can show your appreciation of him. 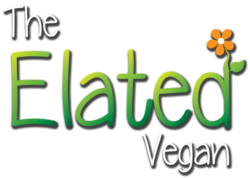 Elated’s Wish List — Would you like to help Elated with our vegan education? Please look at our wish list, and decide whether you want to become a part of our mission to raise awareness for farm animals and promote a compassionate vegan lifestyle. Cashew Cheese Quesadillas — Make Andrew’s delicious vegan quesadillas with cashew cheese for a nutritious and filling treat for kids and adults alike. The Veganised Omelette — There is no need for you to miss the satiating flavours of an omelette, just because you don’t eat eggs. Elisa’s delicious tofu version is a must try vegan recipe. 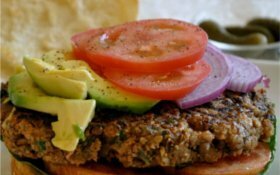 No Beef Charcoal Grilled Burger — The unique combination of portabello mushrooms and flax-egg mixture in Nancy’s vegan recipe gives this burger a lovely dense and juicy mouthful which creates the feeling of the real thing. Nutty Mushroom Risotto — Nancy has created the most luscious, creamy and decadent tasting mushroom risotto without a drop of dairy. Raw Chocolate & Orange Cheesecake — Chocolate and orange is already a winning combination, but with this delectable coconut and nut base, and creamy orange filling, Miriam’s recipe honestly is one of the best you will ever find. 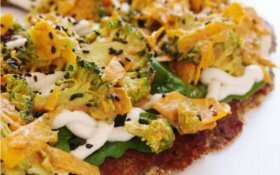 World Vegan Pizza Day — is tomorrow, Saturday 29 June. Use it as a great excuse to eat something awesome and to spread the word about veganism. Whether you are making your own pizza, buying it, eating it or sharing it, join in the fun! Giovanni Hair Care Product Review — At last! A vegan hair care range that loves my hair. No vegan hair product I have tried has acted even remotely like their mainstream equivalent. Until I discovered Giovanni. A Brand New Vegan! 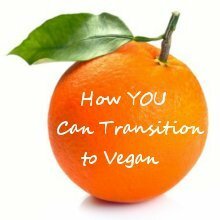 — in response to our last newsletter, after first asking for advice on how to ‘give up’ dairy, one Elated fan has become vegan and is so motivated by her personal experience that she is writing a blog! Please visit Carol and support her on her vegan journey. Vegan Baking Course — Try your hand at baking banana muffins, chocolate and mint as well as a cinnamon cake. You’ll also learn how to make breakfast cookies packed with cranberries to get you started for the day and savoury Zucchini bread to tantalise your taste buds. Happening this Tuesday, 02 July 2013 at 09h30-12h30 at Chez Gourmet, 36 Palmyra Road, Cape Town. Price: R 470. Call 021 671 2080 or email admin@chezgourmet.co.za to book your place. Thank you to everyone on facebook who has moved across from my personal profile to Elated’s Fan Page. You are really making it easier for me to commit my time and energy to vegan advocacy. Please keep the emails and chats coming, it is always wonderful to connect and I love hearing your stories and questions.